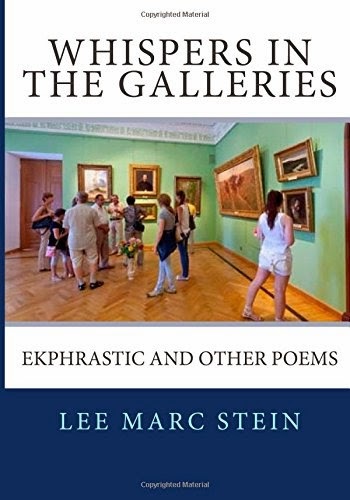 In keeping with the theme of the upcoming winter/spring Art & Soul issue, we are excited to present an interactive book giveaway for this collection of mainly ekphrastic poetry by Lee Marc Stein. "The goal was to offer readers new ways of looking at some of the world's greatest paintings, works whose artists include Rembrandt, Velazquez, Caravaggio, Vermeer, Renoir, Gauguin, Matisse, Goya, Dali and Wyeth. 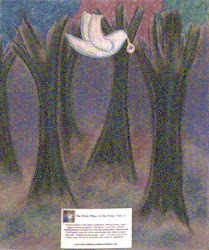 The poems often provide historical and/or psychological insight into their creation." The poetry of Whispers in the Galleries gives active voice, thought, movement and sound to many of the still images that have captured our imaginations over the centuries. Art speaks to us in a myriad of individual ways and Stein shares what he's heard and discovered, attempting to discern the subjects' truth.